Drop one ball into the Maze Tracking Panel and predict which way the ball will travel. Drop two balls in the maze and guess which ball will win the race to the bottom. On the left-hand side of the Maze Tracking Panel, children can observe what happens when they drop the balls into the top of the maze or the front of the maze. No one knows which direction the ball will bounce or go based on the stoppers. 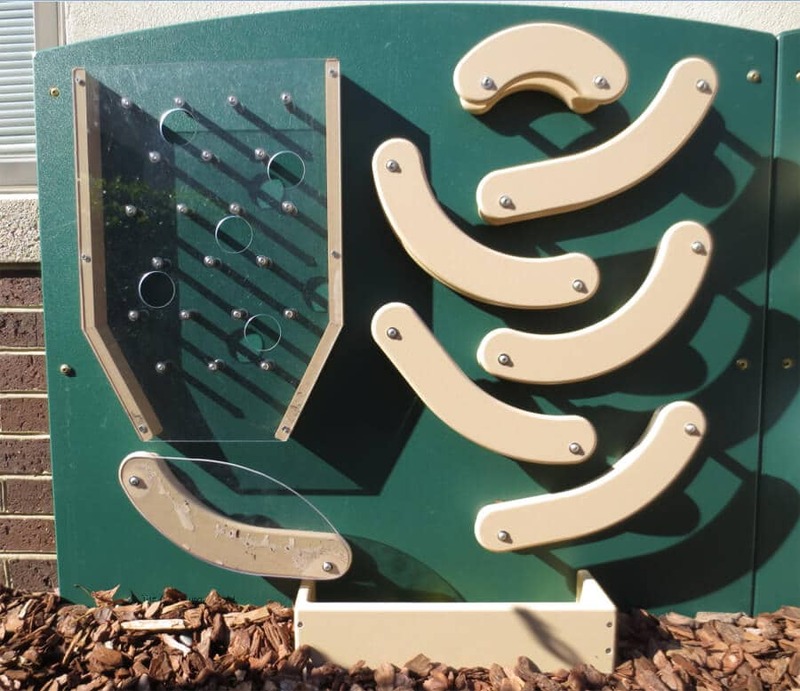 On the right-hand side of the Maze Tracking Panel, the curved pathways provide an interesting course to observe and predict which way the ball will travel and how high the ball will roll up each curve before changing direction and heading downward. 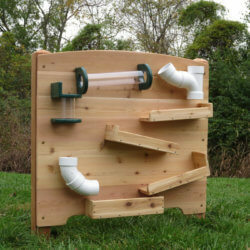 The panel was designed to be used with golf ball sized objects, but the children can create their own outdoor learning experiments, by testing different sized objects and materials. 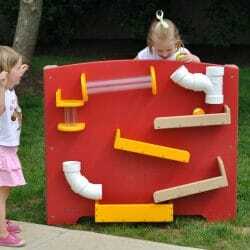 Incorporating the Maze Tracking Panel into your outdoor preschool playground allows children to observe and demonstrate directional words—in, out, on, off, here, there, beside, next to and between. They can visually track the object as it goes fast, faster and slower.